Thanks to a friend who generously lent me a laptop, I was able to play with GIMP again! For the information of everybody, GIMP 2.6 was used in this lesson. It should work in later versions, but there may be some slight differences in older versions. Okay! Let’s get to work! First thing is open the image you want to have the sepia tone effect. 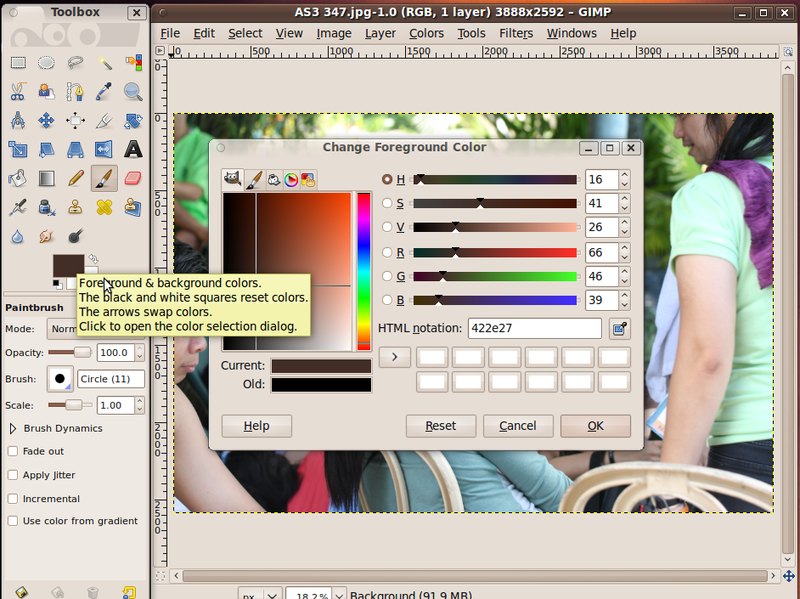 After which, pick a color for the sepia tone by clicking the foreground color (Figure 1) at the color chooser at the bottom of the toolbox and choose a reddish-brown color (Figure 2). 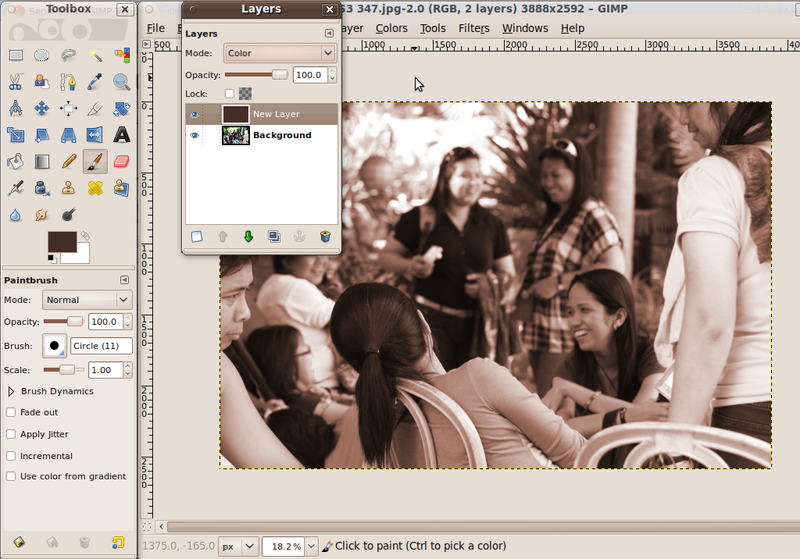 Now that you’ve chosen the color for your sepia tone effect, next step is adding a new layer for the sepia color. 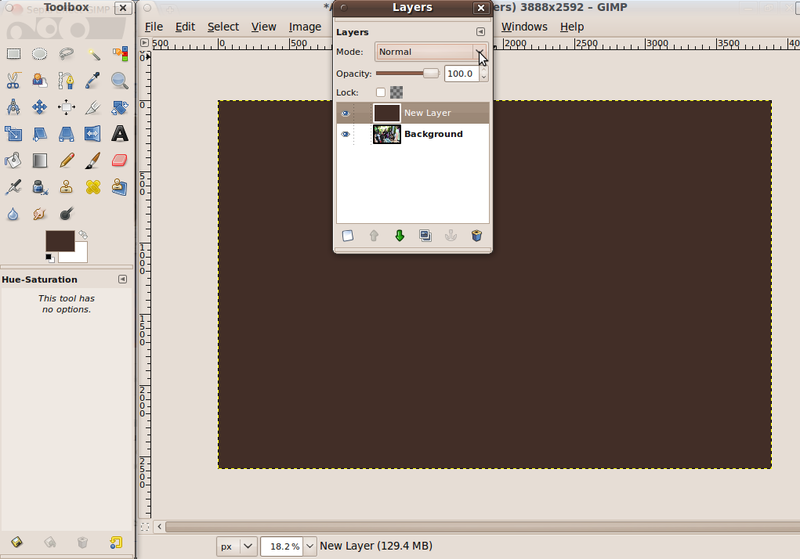 Go to the Layers palette and click the New layer button. 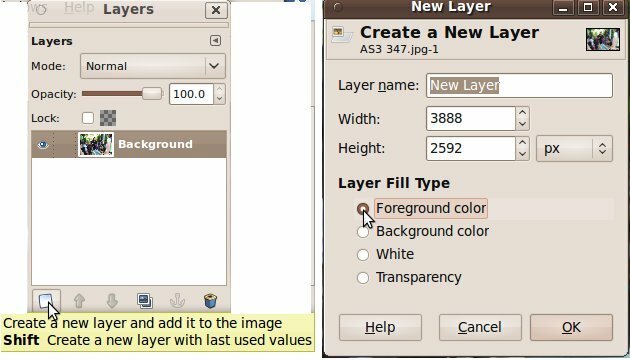 In the New layer dialog box, set the layer fill type to Foreground color (Figure 3) and click OK. The new brown color layer will cover the photo. 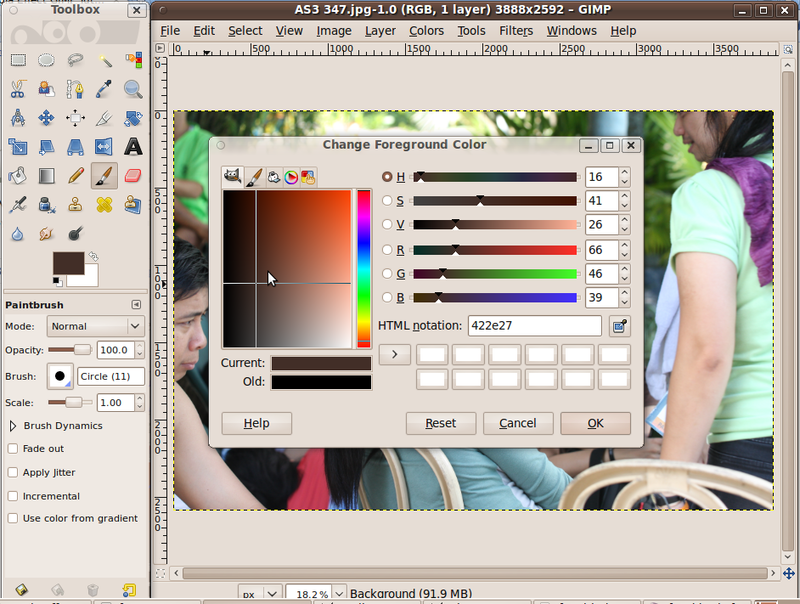 Afterwards, go back to the Layers palette and change the blend mode to “Color” by clicking the menu arrow next to “Mode: Normal” and select Color (Figure 4). 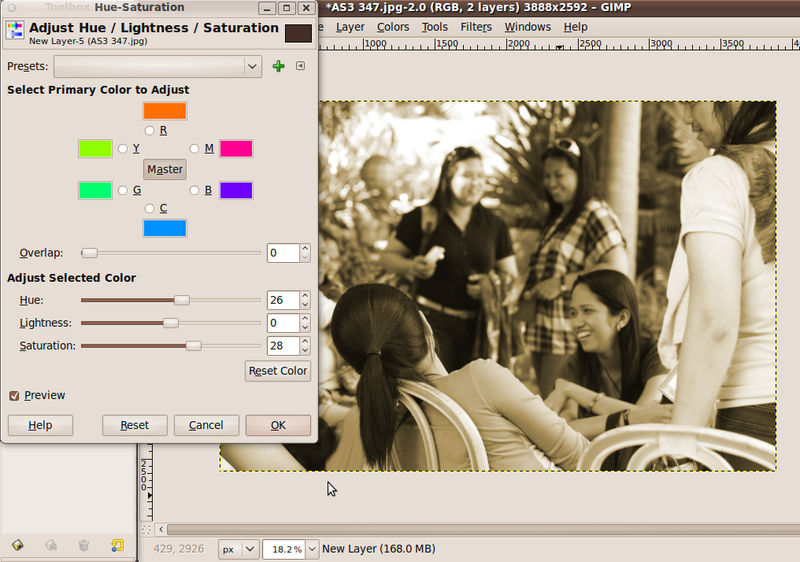 The initial result (Figure 5) may not be the exact sepia tone that you desire but it can always be fixed. Simple reminder: the original photo is untouched in the layer below as we just applied the sepia color as a layer blending mode. If you are not satisfied with the initial result, you can easily adjust it by applying a hue-saturation adjustment.With the brown fill layer selected in the layer’s palette, go to Tools > Color Tools > Hue-Saturation. Then move the hue and saturation sliders until you get the sepia tone that you want. By making large adjustments, you can also create other color toning effects other than the sepia tone (Figure 6).